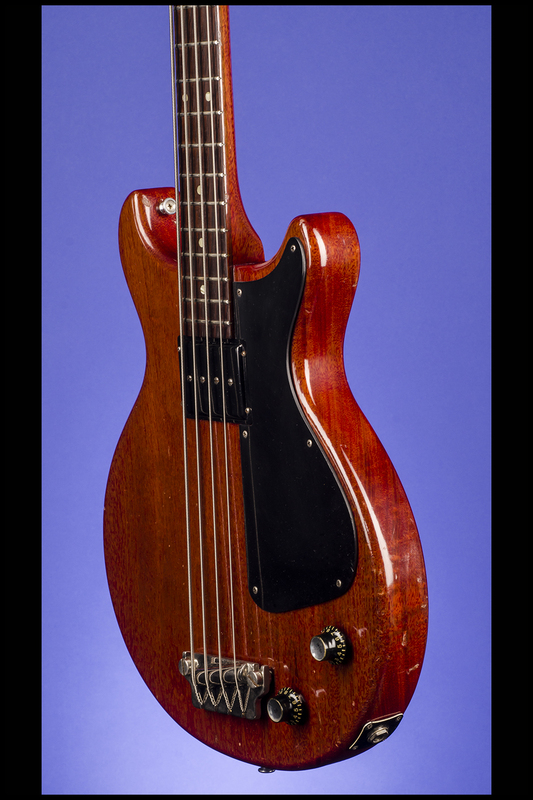 Large Tuners) Guitars | Fretted Americana Inc.
1961 Gibson EB-0 Bass (Slab Body, Large Tuners). 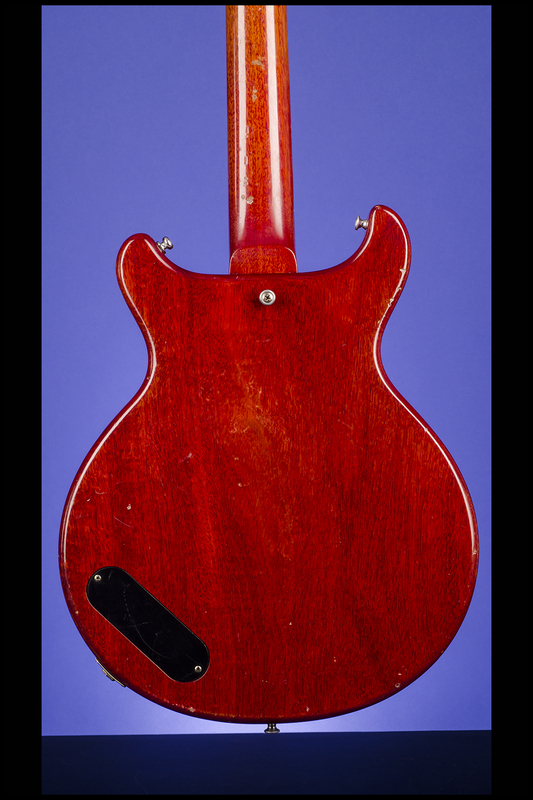 According to the Gibson shipping records there were 535 EB-0s shipped in 1961 BUT the vast majority of these were the one half inch thinner SG shaped bodies. 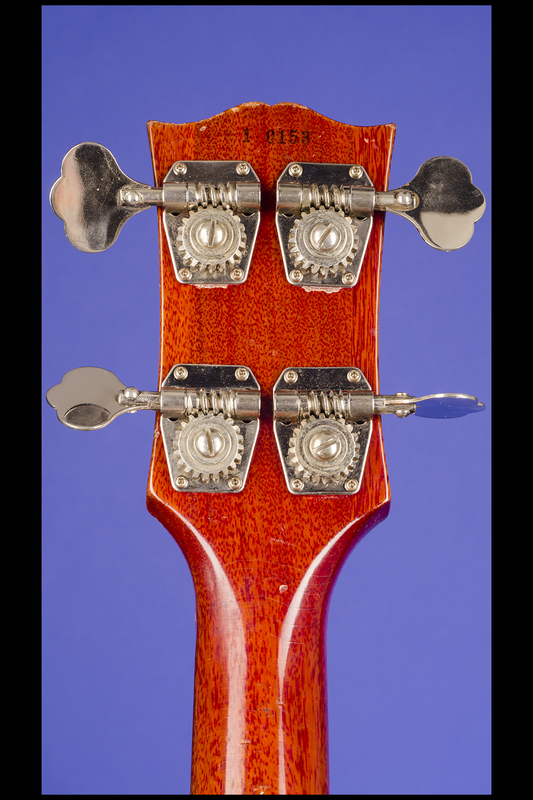 The change from the thick-body to the SG shape came in the early Spring of 1961, so it is most likely that a maximum of around 60-75 examples of the thick-body version were shipped in early 1961. The serial number of our guitar "1 0153" corresponds with an early January 1961 production date (the first serial number allocated in 1961 was "1 0100"). During 1959, 123 were built, while 342 were shipped in 1960. One fun bass!" (Robb Lawrence. 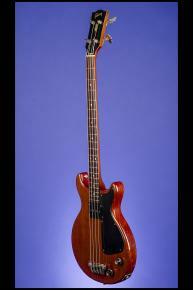 The Early Years of the Les Paul Legacy 1915-1963 (pp. 208-209). "The first variant is characterized by a thick-body double cutaway shape with rounded horns, otherwise similar (but not strictly identical) to the contemporary Les Paul Junior/TV/ Special. 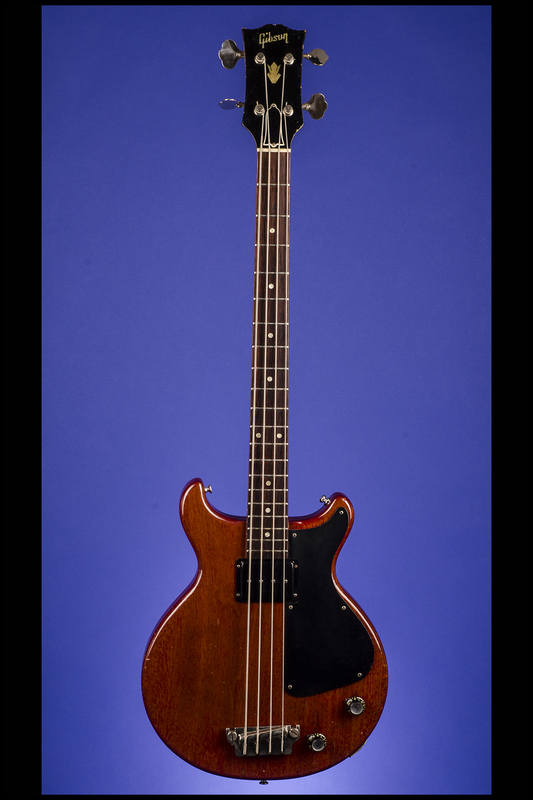 The EB-0 has basically the same electronics and hardware as the violin-shaped EB-1 save for a pickup modified to a humbucking mode. This explains why the adjustable polepieces are located in the middle of the pickup cover instead of being close to the edge as on the EB-1. 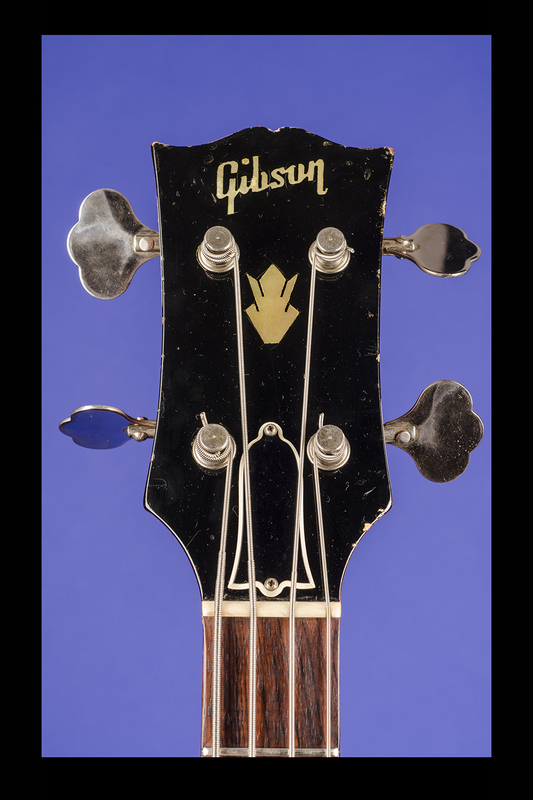 In late 1960 the banjo pegs were abandoned and replaced by conventional right-angle tuners with large metal buttons." (A.R. Duchossoir. Gibson Electrics - The Classic Years, p.192). 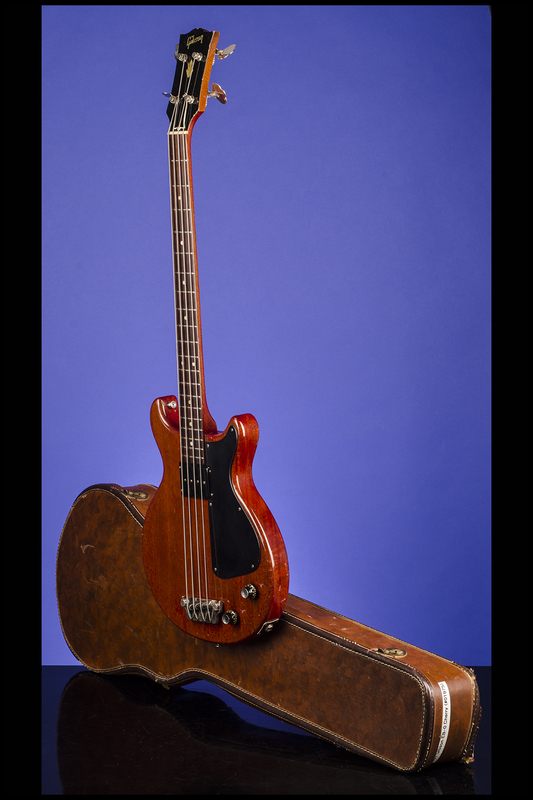 "Soon after the original EB-1 was dropped, Gibson introduced another solidbody model: the EB-0. 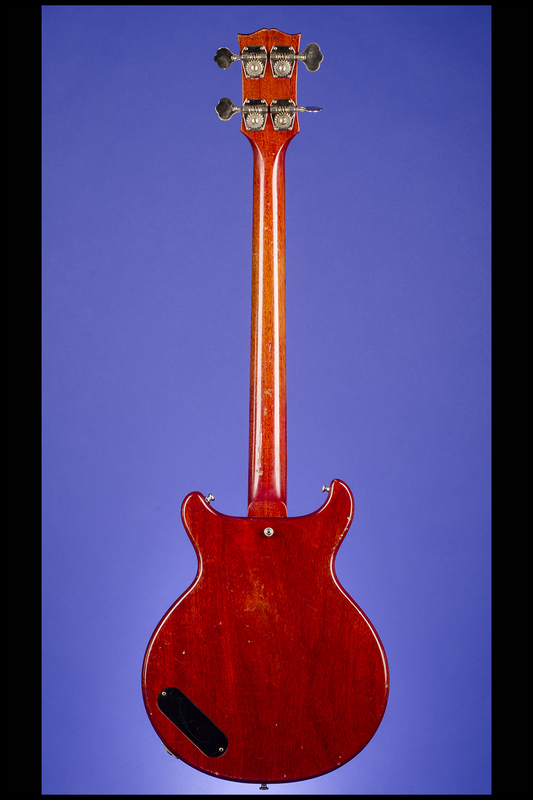 Its double-cutaway mahogany body had the same shape as that of the recently revised Les Paul Jr. guitar, and the neck was the same one used on the EB-1 and EB-2. 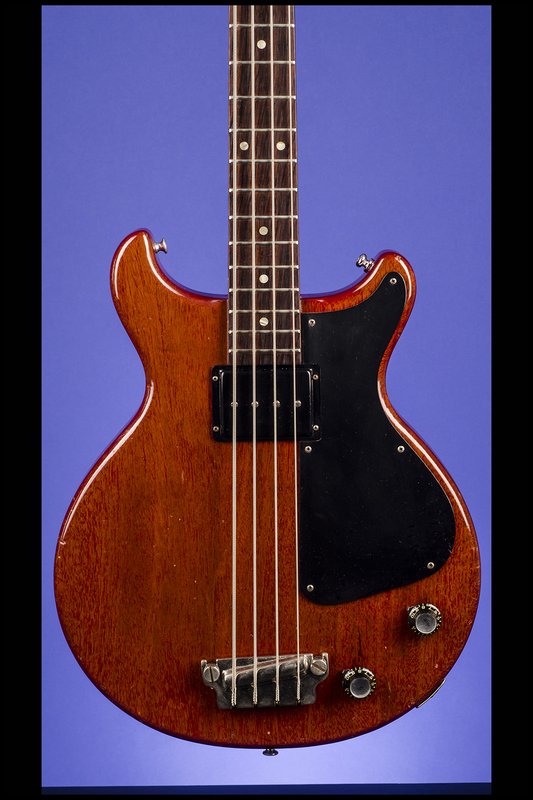 The pickup and other features were, unsurprisingly, the same as those found on Gibson's other basses. 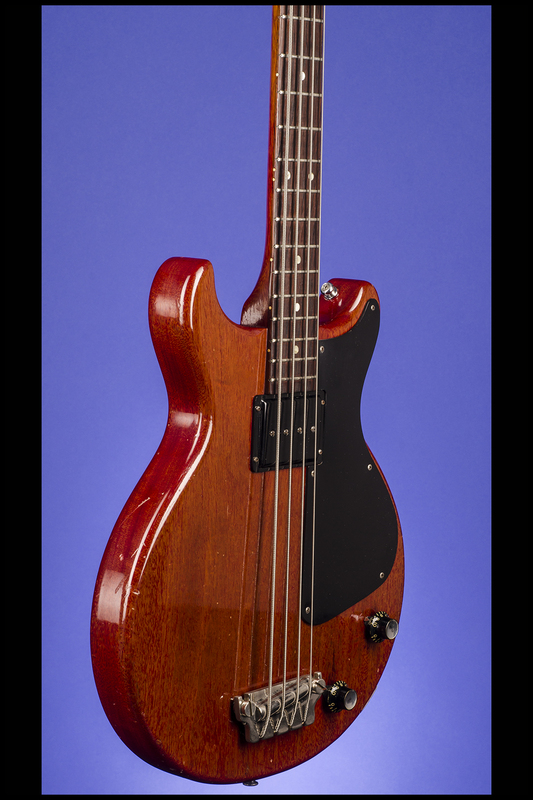 In 1961, the EB-0's body changed to the pointed-horn 'SG-style' shape… (Jim Roberts, American Basses, p. 74).